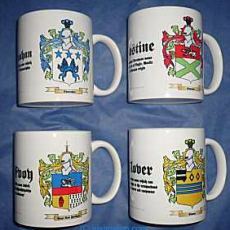 The McPike family history was found in the allfamilycrests.com archives. include Pike, Pyke, Pick, Peake and McPeake. The name McPike has a number of derivations. It can be a locality name meaning 'the pike', from a person who lived beside a sharp point on a hill. It can alternatively be a name of nickname origin from the freshwater fish or even from the Scandinavian word 'pik', meaning a tall person. When found as McPike the name is most associated with Youghal in County Cork where it is found in records as early as the year 1393. Families of the name spread from Cork to the neighboring Counties of Waterford and Tipperary. While many names in Ulster are ultimately of Anglo origin the names McPike and Pike exist there usually as variant forms of the name McPeake. 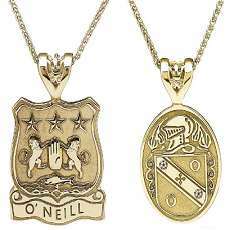 These in turn are anglicized forms of the Gaelic MacPeice name and are found mostly in Counties Derry and Tyrone. The McPike coat of arms came into existence centuries ago. The process of creating coats of arms (also often called family crests) began in the eleventh century although a form of Proto-Heraldry may have existed in some countries prior to this. 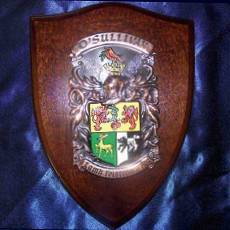 The new art of Heraldry made it possible for families and even individual family members to have their very own coat of arms, including all McPike descendants.